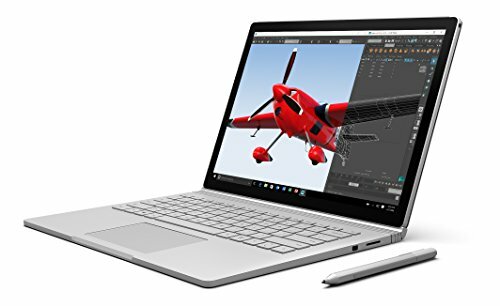 Microsoft Surface Book features the 6th Gen Intel Core i7 processor, NVIDIA GeForce GPU with 16GB memory and a 512GB solid state drive. It is ultra-thin, meticulously crafted, with an incredible 13.5” PixelSense touch-screen display with 3000 x 2000 resolution detachable. Use the included Surface Pen to mark-up presentations, sign documents, take notes and much more. The full punch of a high performance laptop with unprecedented versatility of a tablet. This is Surface Book. This is the future of laptop computing.